Very nice! Sounds like U2 circa Pop/Zooropa (a bit), for lack of a better comparison. 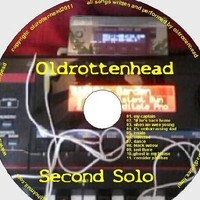 Oldrottenhead is a member of The Bunkbeds, Jemima’s Kite, honker, Dead Divans Jam, The Longhair Tigers, MET2010 and vocalises with P.O.S.C.